This Place of Worship was founded in 1897, and we understand it is still open. St Mary the Virgin Church has been described as an 'Arts and Crafts' style church, and "a particularly nice example of this type of architecture". 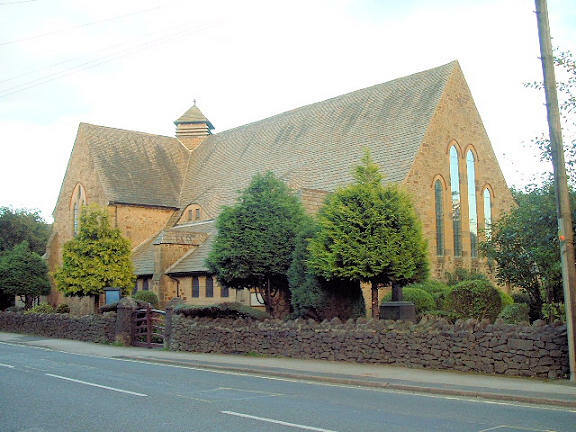 It stands on Dale Road, between the communities of Higher Buxton and Cote Heath. It replaced the "little tin church in Dale Street", built with a bequest of £500 in 1891 by Miss E. Mirilees to pay for the erection of a temporary mission church in Higher Buxton, and a priest for four years. The latter dated from 1897, and St Mary's replaced it in 1917. The Buxton War Memorial is nearby to St Mary's. 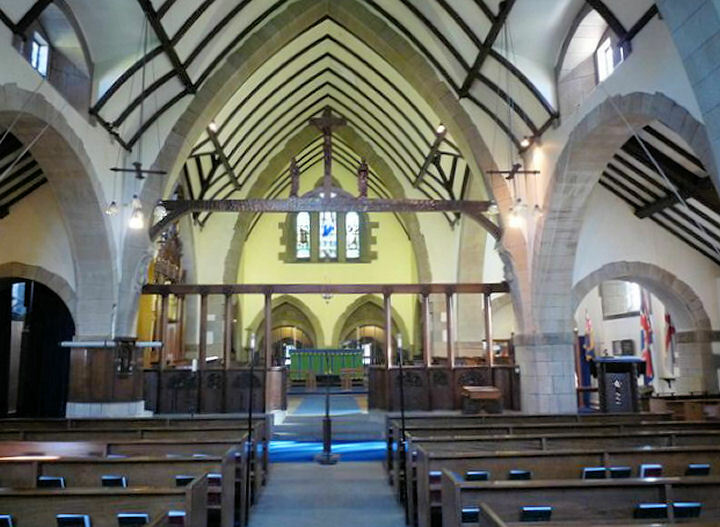 There are further details of St Mary's, a plan, and a nice photograph of the interior, on the Parish of Buxton with Burbage and King Sterndale website. St Mary the Virgin's Church, Buxton shown on a Google Map. Information last updated on 18 Dec 2018 at 11:45. This Report was created 29 Mar 2019 - 18:14:38 GMT from information held in the Derbyshire section of the Places of Worship Database. This was last updated on 6 Feb 2019 at 15:49.